Major GeneralL Peter Shapland, who has died aged 83, was responsible for some highly exacting engineering assignments in the course of a distinguished career in the Army. In 1965, then a lieutenant colonel, Shapland was appointed Commander Royal Engineers (Operations) and posted to Aden. There he was given the task of building a new "black top" road linking the port area with the garrison town of Dhala, on the border with the Yemen some 40 miles to the north. Mountains and deserts intersected by deep wadis, scorching temperatures and flash floods presented great technical difficulties. Security, too, was a major problem. The ancient caravan route was used by the National Liberation Front to smuggle arms into Aden, and the warlike Radfani tribes regarded anything that moved along it as a potential target. If Shapland had any misgivings about the dangers he faced, they were quickly confirmed when he had to leap from his Land Rover to escape incoming fire from an ambush. A few days later, flying over the area, he heard a loud clunk and saw bullet holes in the wing of his plane. On another occasion, clambering down into a culvert to inspect the damage caused by an explosive device, he narrowly escaped detonating a concealed antipersonnel mine. In September 1966, a group of dissidents overpowered the night watchmen at the bitumen plant and placed charges on the pump. The explosion blew the equipment 100 yards away and delayed construction work for six weeks. In other attacks the Sappers' encampments were raided, the road was mined and vehicles blown up, a rock crusher was hit by a rocket-propelled grenade and an excavator destroyed by explosives laid overnight. Mortar, artillery and air support sometimes had to be called in as counter measures. Twelve lives were lost and 58 were wounded as a result of dissident activities during the construction work. Shapland was called up in August 1943 and, after gaining his commission, was cycling around Brighton between outlying detachments when he found himself being pursued by a deflected VI rocket. Fortunately, the missile passed him and went on to explode harmlessly in a field. Shapland was subsequently posted to Queen Victoria's Own Madras Sappers and Miners in Bangalore but returned to England after independence. A staff appointment was followed by a move to 32 Engineer Regiment as adjutant. One evening in the mess, he was summoned by the divisional commander who demanded to know whether they were besieged. Replying in the negative, Shapland learned that, even in the United Kingdom, flags must be hauled down at sunset unless the regiment was under siege. 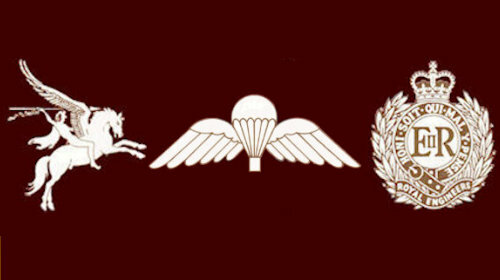 Staff College and a spell in the Canal Zone preceded a posting to 35 Engineer Regiment as a squadron commander in Cyprus and BAOR. During the Suez crisis, Shapland's squadron was re-roled at short notice to provide port operations at Limassol and Port Said. 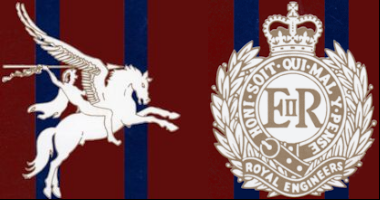 After leaving Aden in 1967, a staff job at the MoD led to the twin appointments of Commander 30 Engineer Brigade and Chief Engineer, Western Command. Shapland became Deputy Commander and Chief of Staff South East District in 1972. He was promoted major general two years later on being made Director, Volunteers, Territorials and Cadets. He retired from the Army in 1978.